Hello everyone, here in The Quilting Room we have a wide variety of sewing machines. Not only do we have several different manufacturers such as Singer, Elna, National, Necchi, White, and Kenmore but we also cover a time span from 1880's to the early 2000's with the newest being a Brother machine. Most of our machines are by choice vintage era machines with some of them pushing antique status pretty hard, They are VS (vibrating shuttle)technology thru the various Rotary models and the Oscillating hooks with the typical class 15 bobbin cases. Some are horizontal bobbins and drop-in bobbins while others are vertical bobbins facing either the front of the machine or the side of the machine. This vast diversity of sewing machines has lead into some very interesting experiences and learning opportunities. 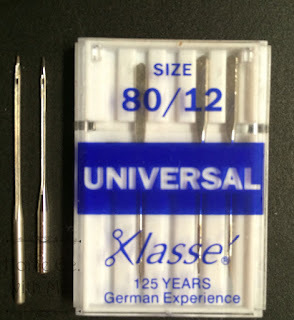 One of the most frustrating lessons for me was learning that there are almost as many different needle types and sizes as there are sewing machines. By types and sizes, I am not referring to the needle the same way a seamstress or a tailor would when they match the needle to the task at hand. Instead, I will be talking about needles of various shaft lengths and the distance from the point of the needle to the eye. For the most part, the majority of machines made today use what is now referred to as Standard needles, Basically, this means it is a 15x1 needle here in the states and an HA-1 on the European market. I'm not ready currently to open a discussion about all the different cross-references for the non-standard needles. Instead, I would like to share some different tips and tricks that can be used when there is more need than options. Also, I would like to clarify that because of all the different names and brands that some manufacturers have used over the course of the last century I am going to refrain from using (branded) names and only use the manufacturer's names when necessary. I will use the needle type or style. When our herd started growing it didn't take very long before we ran into a snag. We were first introduced to a non-standard needle in the form of a National sewing machine, It happened to be a VS machine that that had the original 120-year-old manual with it. And you guessed right it calls for a 20x1 needle. There was one in it so I had the opportunity to thoroughly scrutinize the exact differences between it and the common 15x1 needle. The difference between the two is at the clamp end. The point to eye difference was nil as well as the actual shaft length, But the shank end where it is clamped into position was longer,which means the clamp channel is longer. 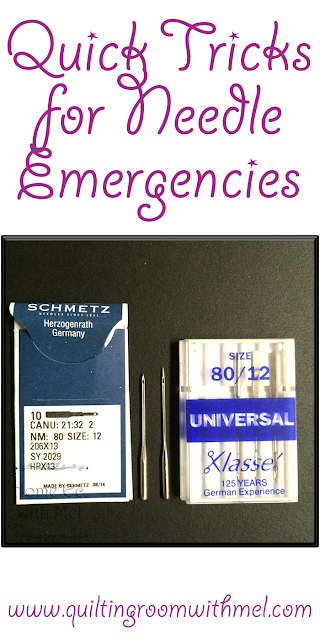 If a 15x1 needle is substituted and fully seated into the channel then the needle is too short to allow a stitch to form. But if it can be scooted down almost an eighth of an inch (3/32nds-thickness of a new dime) and still clamp securely it will pick up stitches and sew just beautifully. It may be necessary to adjust a smidge due to machining differences. Since learning this I have heard of others who were not so lucky and the needle would not secure in place. Currently, we have eight different machines that are using this cheated system, Including a National made rotary machine and 3 different New Home VS machines. I don't guarantee it to work in all situations requiring a 20x1 needle but given my personal success over a variety of attempts it is a viable effort to try in a pinch. My second big adventure with non-standard needles came when I got my Singer 306w. 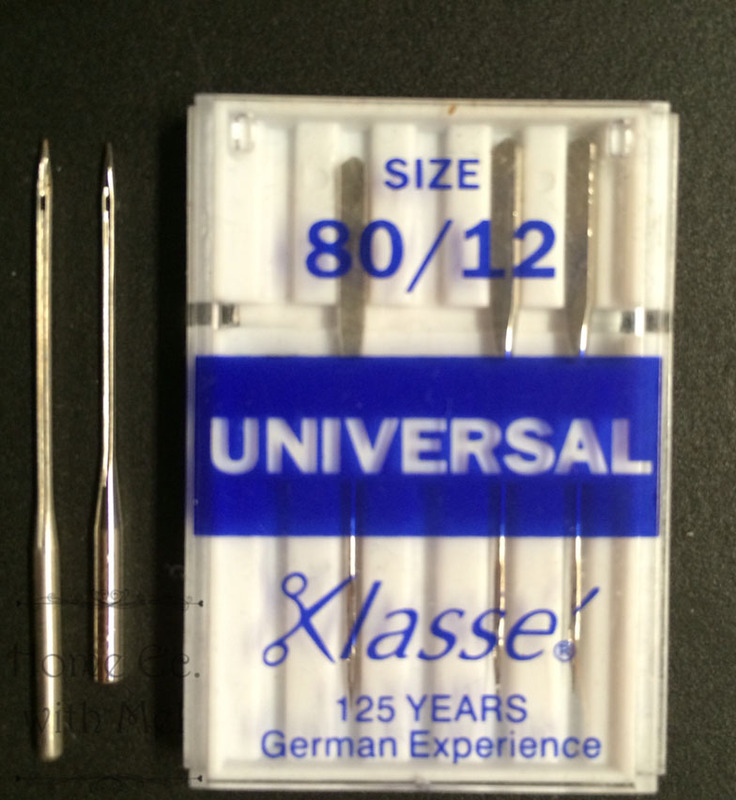 It was designed for a 206x13 needle. 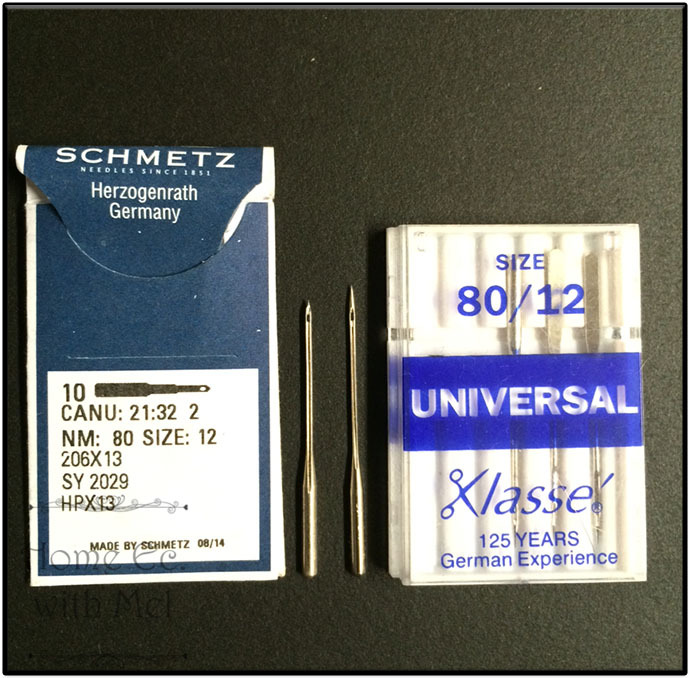 The difference between it and a common 15x1 needle is at the point, The 206x13 has a short chisel type point so the distance from point to eye is closer than the point to eye distance on a 15x1. The shank and shaft length of the two needles are the same length from the eye to the end of the shank. So to effectively the two will interchange BUT ONLY FOR STRAIGHT STITCH SEAMS!!!!! The needle relief on the bobbin case is not wide enough to accommodate the longer tip at an angle for ZZ or fancy stitches. The long tapered point ca be removed and resharpened to make a very effective 206 needle out of a 15x1 needle, The best way that I have found to do this is with a drill and a fine grit whet stone. I chuck the needle like a drill bit and hold the point against the stone at a 22 degree angle. (I use the side surface, not the face that I use for my knives so I don't groove the stone). And spin the needle until the length is the same as my 206 needles or about half the distance to the eye. I then polish the new point with a very fine stone or 4000 grit sand paper layed flat on a smooth surface. 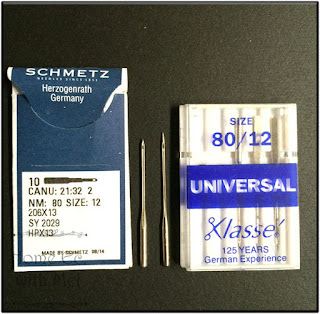 The result is a smooth needle that will sew any stitches without damage to the bobbin case.